Supreme Court on the Voting Rights Act: Chief Justice John Roberts struck down part of the law for the lamest of reasons. John Roberts’ opinion on the Voting Rights Act is really lame. 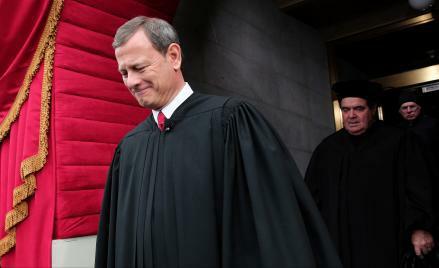 Supreme Court Chief Justice John Roberts arrives during the presidential inauguration on Capitol Hill on Jan. 21, 2013. Instead, Roberts focuses on the offense to the sovereignty of states and a newly invented idea he calls the “fundamental principle of equal sovereignty.” State sovereignty means that the federal government should not intrude on political decision-making of states, including, Roberts says, their election laws; equal sovereignty means that when it does, it should intrude equally—on all of the states to the same degree.